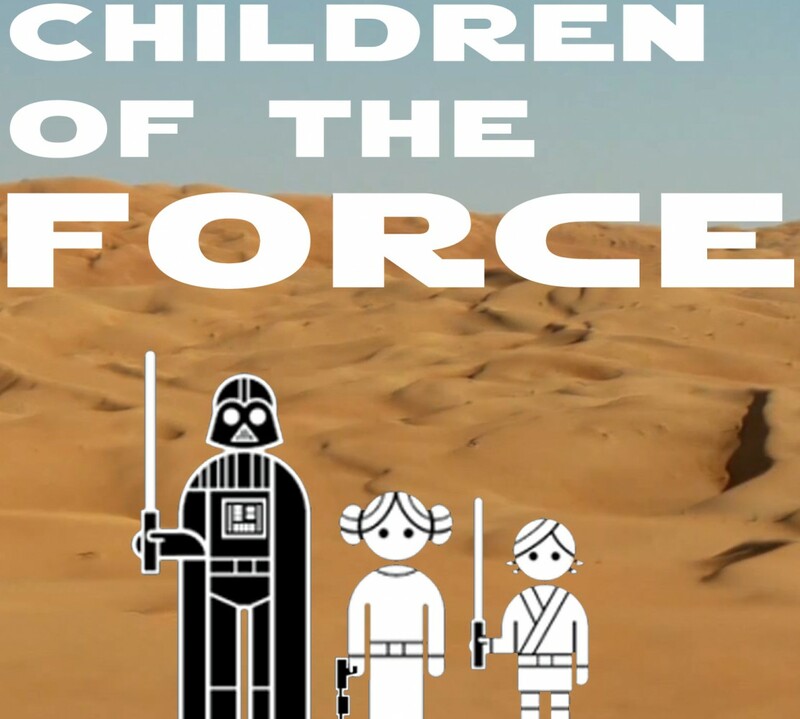 It’s episode 34 of Children of the Force! This week we discuss The Empire Strikes Back, space elevators, Finn, Snoke née Maul, space racing, give a couple worthy shoutouts … and more! Join us, and together we will find out what we become if we continue to fight as father and son and daughter and listener! We watched The Empire Strikes back at movie night at the kids’ school. The last time the school had a movie night, they showed A New Hope. I can only hope this trend continues. While watching the movie, I over heard a 5 year old girl telling a 5 year old boy, “It’s not a dream, it’s a vision,” about Luke in the cave. And my heart grew ten sizes. And then the kids go off on what has to be one of my favorite tangents of all time: Elevators in Star Wars (which would be a great name for a band). Thankfully, mercifully, there is a Wookieepedia page for this, which I will be going over in great detail with the kids. Because apparently elevators in Star Wars are a big deal. We also get deep into what exactly Luke’s failure at the cave was. What was it? We’d love to hear your thoughts about this. We’re looking forward to some new Battlefront content, specifically the “Leisurely Stroll” mode. Come on, EA! Do it! If you don’t have Battlefront and wonder why we gush over it, take a look at this kid giving you a walkthrough of Jabba’s palace. It’s awesome. Scorched, a short story in the new Star Wars Insider further establishes that starship/fighter racing is a big deal in the galaxy far, far away. In the prequel trilogy, we have podracing. In the original trilogy era, we have a Han Solo comic coming up that involves racing. And now in the sequel trilogy era, we have one of Leia’s allies entering a race call The Gauntlet. Constable Zuvio is in The Force Awakens! You must read that EW article. Finn was in the top of his class. But why did he refuse orders? What makes him special? Was it just odds? Is there something about him? Also, he has biological parents, but did they ever know him? Did he ever have a name? The jokes this week are from Chris from Star Wars Kidscast again! Thanks a ton Chris for sending in all the jokes. Makes my job easier. What do you call it when Leia’s hair comes loose? What do you call it when a Happabore gets loose? What’s the worst kind of Star Wars joke? What is your favorite title of a Star Wars saga film? Let us know your answers by emailing us at forcechildren@gmail.com or leaving us a voicemail at speakpipe.com/childrenoftheforce! We’d love to hear from you. This week, I try to stump Anna and Liam by asking them what the name of that green stuff that Rey eats on Jakku is. Also, who’s the chancellor of the New Republic at the time of the destruction of the Hosnian system? Listener Nick from London has another great Snoke theory. Darth Maul! It’s a pretty awesome theory. Shoutout to Danny (@ceruleansnidget on Twitter) for sending the kids some great homemade trading cards as a consolation prize for participating in his This is Madness Creatures tournament. Shoutout to Ian, the winner of our “URoRRuR’R’R” iTunes review contest. He gets this shoutout and also the digital codes to download the 5-issue Chewbacca comic series! We hope you enjoy it, Ian! And thanks for the review!